Our standard table top is so versatile for you indoor needs. 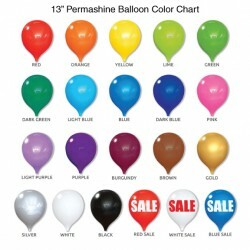 Choose your color of balloons from the color chart. USE FOR: Counter or table decoration, table centerpieces, display cases, retail stores, event promotion. 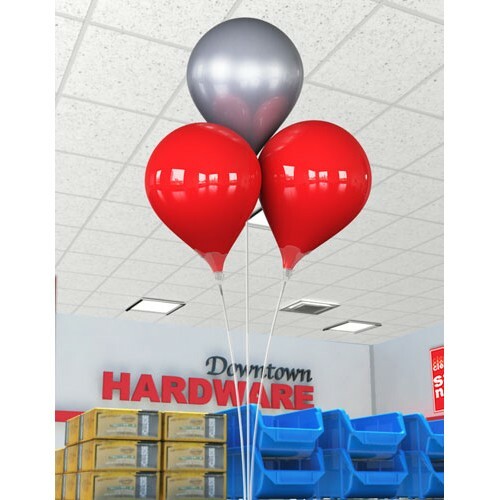 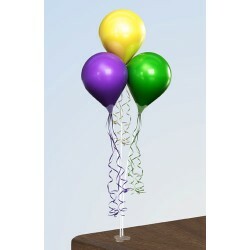 KIT INCLUDES: three 13" plastic balloons, three stems with holding cups, clear table top hyperbond mount, and inflation needle.